WAFFLES: Hey Boss! We sure cashed in with the man in brown shorts today! Check out my cool new kitty lounger! KATIE: Lounge away, Waffles. I've got dibs on the toys. KATIE: Nothing to see here, Waffles. You may as well go back to lounging. WAFFLES: But what about that one? It's, it's orange. KATIE: Dibs, Waffles. These Catnip Kicks are mine. I'm testing the toys and you're testing the lounger. Remember? The All-New Lounger from Peach! 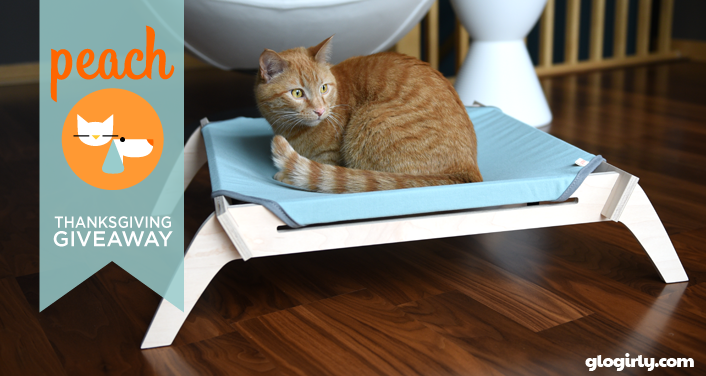 Our friends at Peach Pet Provisions are launching a brand new lounger design TODAY! It's called the Peach Pet Lounger. 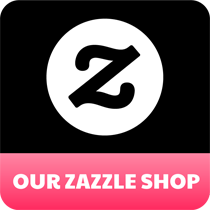 We've been huge fans of their products for years now. They've always been our go-to kitty loungers and have shown up in countless photos here on our blog. We didn't think they could improve on perfection, but indeed they have! Their newest lounger is even more sleek and modern than their previous designs. Slightly larger, low profile enough for senior or disabled pets and sturdy enough to accommodate cats and small dogs up to 25 pounds. WAFFLES: Soft, heavy duty. Sweet! Maybe me and the Boss can lounge TOGETHER! 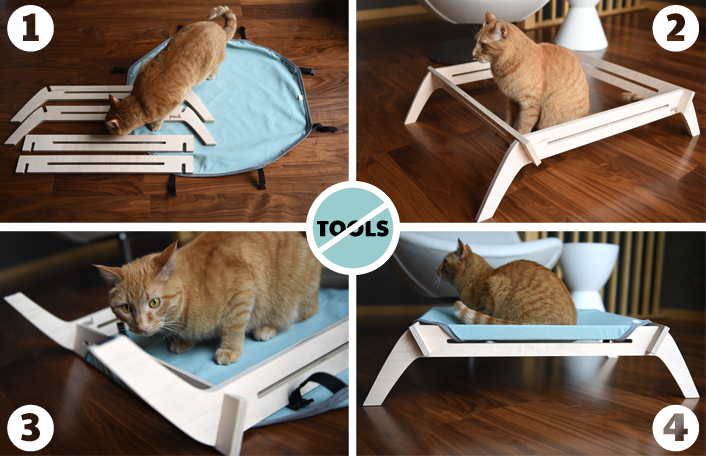 Peach's new lounger has one of the most simple and ingenious assemblies of any feline furniture we've seen. Place all pieces flat on the floor. Assemble base by sliding notched pieces together. Lay cover flat on floor and lay assembled base upside down over cover. 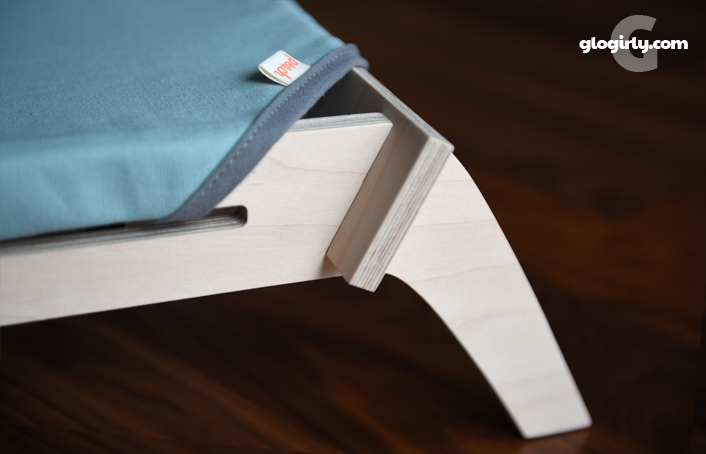 Pull cover edges and straps through slats and secure clasps. Smooth out cover and LOUNGE. Earlier this year, Peach sent us a kicker toy to try out. 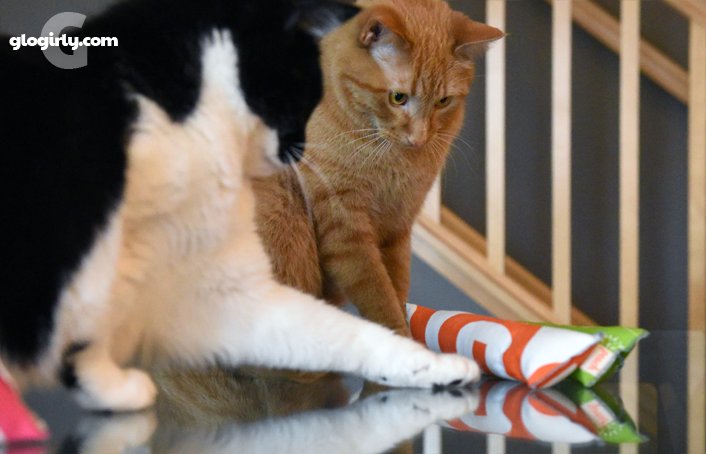 Covered with one of their fun fabrics and filled with USDA organic catnip grown in the USA, it was a huge hit with Katie. 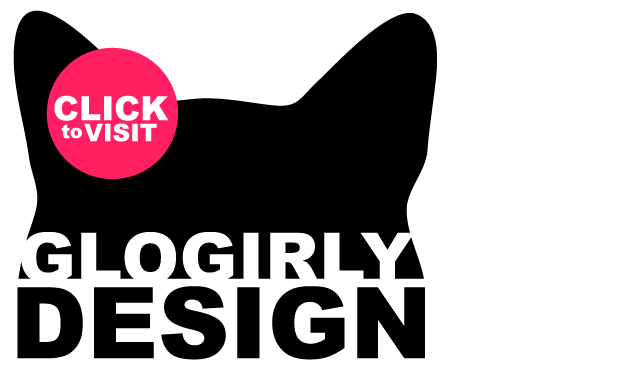 After a little design tweaking, the Catnip Kick was born. 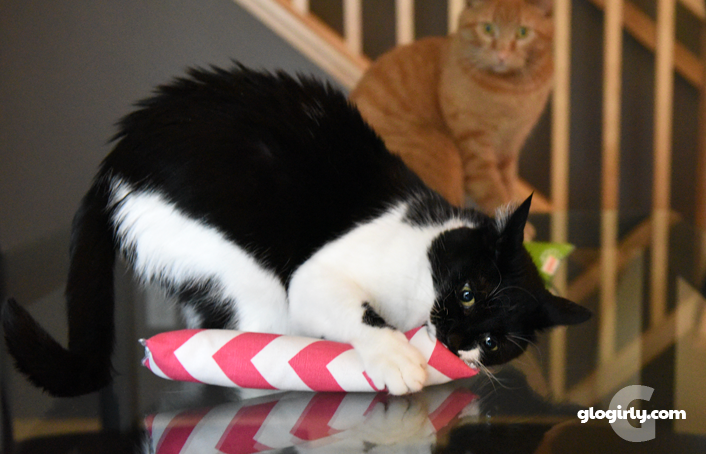 Perfect for bunny-kicking, twirling and carrying around the townhouse, each Catnip Kick measures 9" long by 2" around and sells for $7. 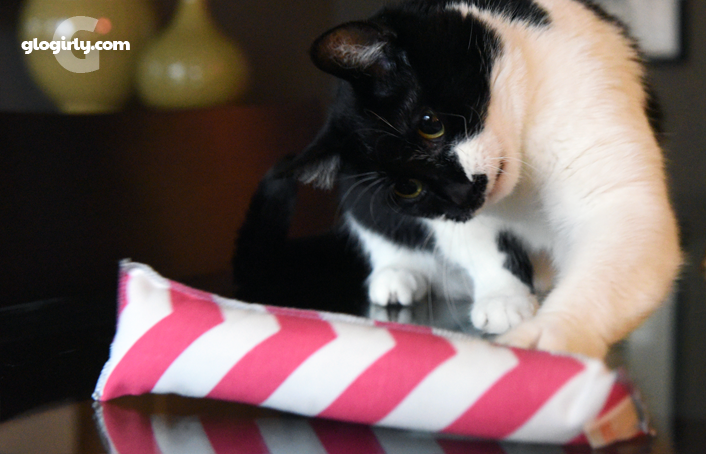 Colorful and modern fabrics mean fashionista cats can coordinate their toys with their loungers. One of the things we love most about the people behind Peach Pet Provisions is the compassion and generosity they show shelter cats. Every single giveaway we've hosted for them here on GLOGIRLY has benefitted a shelter. 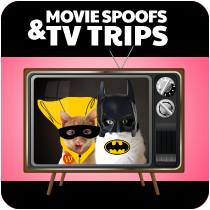 In fact every month, Peach sends donations to help shelters and rescue organizations across the country raise money. This year our Thanksgiving Giveaway will shine a light on some very deserving cat shelters. Each reader that enters will have an opportunity to choose one out of five shelters we're profiling below to receive a beautiful Peach Prize Package. Each of these organizations are very special in their own way and do so much great work for homeless cats and cats in crisis in their communities. The volunteers that give of themselves, making a difference for these beautiful animals, are heroes. 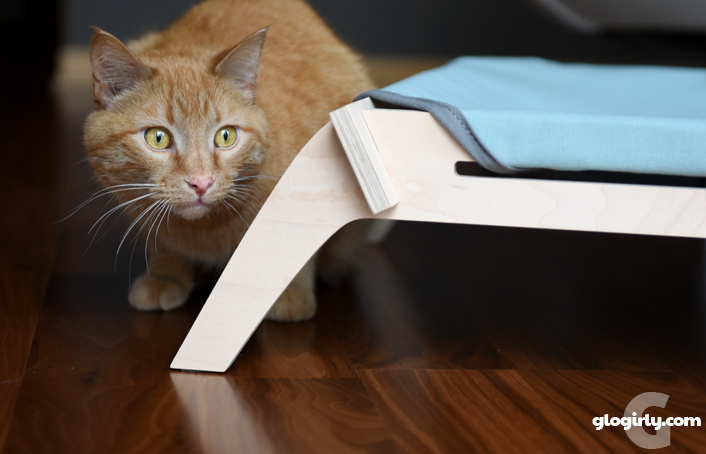 ♥︎ One randomly selected shelter will receive a Peach Pet Lounger, Kitty Lounger Mini and a set of Catnip Kicks. 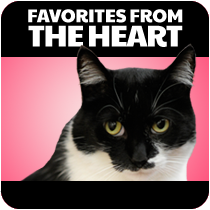 ♥︎ Enter giveaway and nominate 1 of 5 shelters profiled below via the Rafflecopter widget at the end of the blog post. 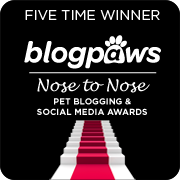 ♥︎ One grand prize winner will receive a $150 Peach Pet Provisions gift certificate. 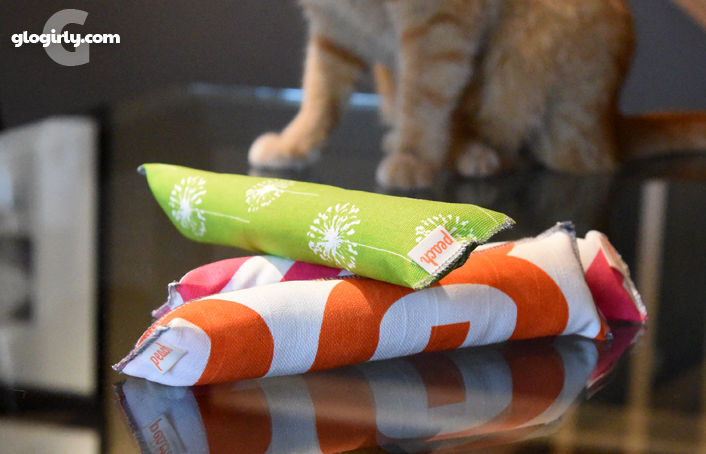 ♥︎ Three runners up will receive a set of three Catnip Kicks each. Though prizes only ship to US and Canada addresses, readers worldwide are invited to enter. Should any winner reside outside the US/Canada, they may gift their prize to a US friend or shelter. Receive free shipping on any Peach Pet Provisions purchase plus 15% of the total value of your order will be donated to the winning shelter. This offer is good through the end of 2015. The devoted team at Kitty Bungalow takes special care in socializing feral kittens and graduating Ivy League lap cats into life long loving homes. They are also committed to providing spay/neuter services in the form of Trap Neuter Release (TNR) within the Los Angeles city limits. Their mission is to provide all cats able to adjust to indoor life with a warm and loving lifelong home, while providing those cats who need to continue living outdoors with a caring colony manager, assuring all cats, lap or otherwise, a humane and happy existence. 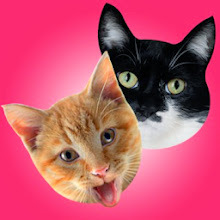 Purrfect Pals was founded in 1988 by cat lover Kathy Centala. She was determined to open the Puget Sound region’s first no-kill cat shelter. Kathy scraped though together the down payment for a modest house on five acres in Arlington in 1993. Room by room, the house was renovated over the years, along with its two unattached garages, to create their existing shelter, veterinary clinic and sanctuaries. Their adoption and rehabilitation programs help place homeless cats, including those with special needs, in loving homes. They believe that every cat is adoptable; some just need more time than others to find the right match. Their ultimate goal is to place them, but these cats have a loving home in their Arlington sanctuary for as long as they need them. Their sanctuary is currently home to cats positive for FIV and Feline Leukemia, feral cats, geriatric cats and cats with chronic illnesses. One of the most common reasons we see people surrendering their beloved cats is the inability to pay for emergency veterinary care. During times of crisis, these cat lovers are faced with either surrendering their pet or having them humanely euthanized. Neither seems like a good option so, in 2013, Purrfect Pals created the Angel Fund in response to these requests for help. This fund is used to pay the veterinary bills of low-income cat owners so they will not be forced to give up their feline friends. PAWS rescues & re-homes approximately 115 dogs and 435 cats each year. Many of the dogs faced euthanasia at local pounds and most of the cats that we help are strays and abandoned cats that roam their community streets. A portion of the pets that come to PAWS have been relinquished by their owners who are no longer able to care for them. They constantly seek to increase the number of lives they can save by finding adoptive homes for the animals in their care, working closely with other animal groups, and raising funds to secure the supplies and facilities necessary for our operation. PAWS also seeks to decrease the number of unwanted pets by informing and educating the public about the importance of spaying and neutering. 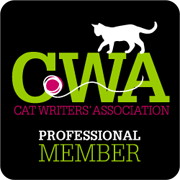 So many of our friends and readers are very familiar with the wonderful work PAWS and their devoted volunteers are committed to. 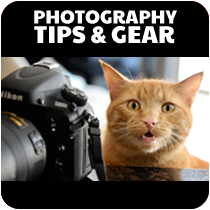 The wonderful blogs, Sundays at the Shelter and Animal Shelter Volunteer Life are both devoted to the beautiful cats in-waiting at Paws. PAD PAWS rescue is a non-profit organization specializing in abandoned and injured animals who have taken refuge along the Hudson River between Battery Park/NYC and Jersey City, NJ. The majority of their rescues include Trap/Neuter/Release (TNR) along with rehoming if animals are in a dangerous situation (due to construction sites, urban development and busy city streets). PAD PAWS handles all medical costs, adoption, education, rehabilitation, as well as assisting with other local community organizations in rescuing animals and wildlife. This small rescue was founded in 2006 in the Powerhouse Arts District, located on the waterfront area of Jersey City, NJ. But their journey of rescuing began years prior in NYC after volunteering and doing TNR work for Ollie’s Place, ASPCA and Mighty Mutts. Some of the most difficult cases of rescuing and rehabilitation took place after disastrous events such as 911, Hurricane Katrina and Hurricane Sandy when animals of all types were injured, abandoned, sick and left helpless. These rescues were their voice, and their only hope of being saved. PAD PAWS has made it their mission to rescue, rehabilitate and place these four legged friends into loving and caring homes, and now specialize in abandonment, TNR and helping any animal who is injured or in danger. Feline Rescue is is a volunteer based organization funded exclusively through donations and grants. Though they receive no municipal, state or federal funding, they have won the hearts and support of animal lovers and advocates not only in their community, but across the country. Feline Rescue believes that all cats are entitled to a safe, caring, and happy home. They are firmly opposed to the practice of declawing, considering it cruelty to animals, and an unethical practice. They believe that all tamed cats should be kept indoors. No cat in their care will be destroyed except when suffering and beyond medical treatment, and the cost of the medical care shall not be a factor in this decision. They provide rescue and relief to the homeless and endangered cats in the community through programs that offer shelter, foster, social and medical rehabilitation, feral and stray management, spay/neuter subsidy, and community education. Their mission is to provide safe shelter, veterinary care, and socialization for stray, abandoned, or abused cats until loving permanent homes can be found for them. This blog post is sponsored by Peach Pet Provisions. We are being compensated for creating and featuring this content. 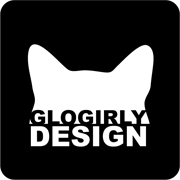 Regardless of the payment received, we only feature products and services on GLOGIRLY that we use or feel our readers would benefit from using. All sponsored posts on GLOGIRLY will always reflect our honest and unbiased opinions. Wow! That lounger looks soooo cool! I'm thankfrul for my family, my little Kyo, waking up MWF with Katie, Waffles, Glogirly (Sometimes gloman). Awesome prizes! But I have to say, ALL those rescues are among my very, very favorites - it was really hard to choose one! I'm thankful that my cats are smart enough to not get killed on the busy street we live on! and neighbors that don't turn them in for all their antics around the condo units. Cats and goats and chickens and ducks and good friends. I am thankful for the stability in my life. I'm thankful for my family and my darling pets! I'm thankful for the companionship of my three kitties and for the love of friends and family every day. Waffles we wouldn't hold our breath about Katie sharing the lounger with you, if we were you. Not happening buddy. We are thankful for each other and that we are all mostly getting along. We're thankful for full tummies and warm beds every night, and for being part of a forever family who loves us.... something we hope for every shelter cat. 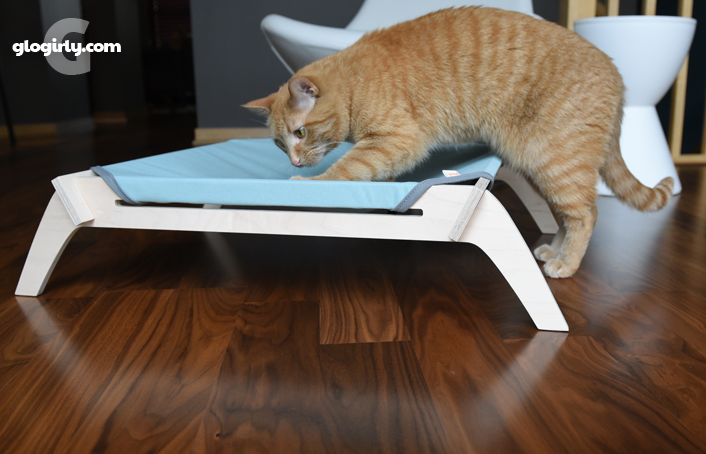 We love how this giveaway gives back to shelter cats! Mama is thankful we are all healthy and happy and that her family and friends are supportive of her going back to nursing school. Harper is thankful for kibble and Mama's tackling at the end of the day. Georgie is thankful that his human brother is not home and that I (Sniper) haven't bitten him yet today. Saturn is thankful that Mama doesn't fuss too badly at her for getting in the dryer while she's folding clothes and for the ladder to her human brother's bed. I (Sniper) am thankful that Mama loves me and that Harper lets me think I'm in charge of the whole operation. Oh and also that Mama has thumbs and can type all this. I am thankful for my four feline babies and that we are all safe. We are thankful for a roof over our heads, lots of toys to play with, lots of yummy food and treats and all of our cat blogging friends. LOVE the idea of the new lounger with the sides velcroed too - and those kickers look awesome. I am so thankful that I met and adopted my precious Thunder. We were made for each other. I am so thankful for these shelters and all the good work they do to help cats!!! I’m thankful I can bite Pop without consequences and that he wouldn’t let TW take me back. I’m thankful I’ll be celebrating my 10th Gotcha Day next year. We’re thankful for rescues and shelters and HAD to support the one in JC, NJ cos that’s where my roots are even though we never heard of them, we’ll have to look them up for our Christmas Care Package. We are thankful for a warm home, a loving mom, and Milita is especially thankful for delicious noms! We would love to win one of these loungers and for PAWS to get a prize pack. They are an awesome shelter! I am so thankful for wonderful shelters like those listed above, who give the utmost care to finding furever homes for homeless animals. Purrs and good luck to each and every one of them! I am thankful for my kitties. Thanks for the chance. I'm thankful that homeless cats and kittens have a safe, warm, loving place to wait and a good chance of finding a wonderful forever home because of PAWS and other no kill shelters. 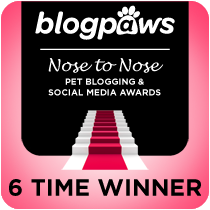 I'm also thankful for the support of Glogirly, Waffles, Katie and so many other blogging friends. Oh Meow Dat is soooo cool. We sure hope we win. Y'all have fun wiff yous new stuffs. What a great idea, to give these gifts to a shelter. I wouldn't mind winning myself. We are thankful for our mommy and our warm home. And for lots to eat and play with. And especially grateful for the shelters and all who care for our animals in need. We would like to gift if we win to Place for Cats foster network in New York City. Also if we got yhe cat toys, they would be a pretty special gift for our USA rescue too. Nice look loungers and they look very comfy. So nice of Peach Industries to sponsor a giveaway. We did enter - we like the idea of a shelter reaping some of the benefits too. Thanks pals. What an amazing giveaway! Those Peach people sure are pawsome. 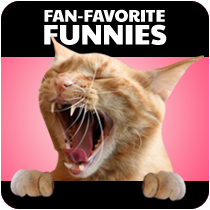 I think I'll get Mudpie one of those Catnip Kicks for Christmas if we don't win, too. I'm so thankful for her and all the love she's given me since I adopted her in August that I want to give her the very best Christmas any kitty could ask for. That is a great looking lounger. The toys look like fun too. Dats nice that the stuff will go to the shelters. I went through mine twice! I am grateful for my kitties and my dog. I am thankful for my family and my dogs! They bring me joy! We are thankful for the blanket on the hoomans bed that magically gets warm during the winter! I am thankful for all the wonderful humans who helped to move myself, my husband, and our four kitties from the Midwest to the Southwest. With their kindnesses - especially helping to get through TSA with four cats! - we would never have made it back to the place we call home. I am very thankful my furbaby is healing well from her trip to the vet a couple weeks ago. Im thankful im not a pigeon. AWESOMENESS! Peach Pet stuff rocks! And cute photos of Katie and Waffles with their stuff is a bonus! I love that your giveaways benefit shelters too! I am thankful for healthy kitties and good friends. I am thankful for my husband of 21 years, and my two wonderful daughters. I am also thankful for our pets. I am thankful for my family , friends, and 4 kitties who brighten my life immensely! I am utterly thankful for all the amazing people who tirelessly volunteer at rescues and shelters to help animals every day - it's such hard work and it's neverending. They rarely hear a true thank you but the reward is huge. And I'm grateful that cats exist! I can't imagine my world without them. Thankful for tuxedos, tabbies (of all colors), black cats and torties....and for for full bellies, love and good friends! We're thankful for a safe and loving home, and for shelters and people that work to help ALL kitties find their own happily ever afters. Thank you, Glogirly, Katie and Waff, for being such advocates (and for being our pals, too)! Julio says he's thankful for Greenies, his ability to jump, and stupid squirrels outside the window. Maude is thankful for round cat cozies, her ability to walk on the human, and her loud, off-key voice. Scarlett is thankful for a warm house and her own magnificent fur. Maybelline is thankful to be inside where's it warm and where the food comes to her and she doesn't have to chase it. The human is thankful for all four fabulous felines and that they purr and only occasionally throw hairballs. We are thankful to have good food and treats in our warehouse apartment, and that PAD Paws helps rescue other kitties like us! I'm thankful for my hubby, friends, family & our six kitties! I am thankful for the men and women who are taking care of those animals. I wish they could all win. Great give away for great causes. My peep and I are grateful for all our friends on blogger & across the world & those that save kitties from Kill shelters wherever they may be. Compliments to Peach for the GiveAway. 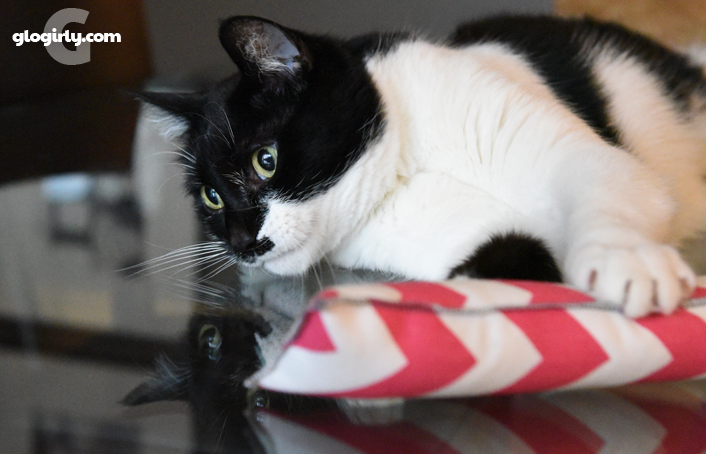 The kick toy looks tantalizing and the Lounger, well it invites what cats do best: lounging! Looks pretty easy and worth the trouble to assemble. Hope the shelter kitties enjoy it!